The 2 inch White Adhesive Tape is great for taping and keeping adhesive bandages fixed in place. This is the same tape used by some NFL teams. 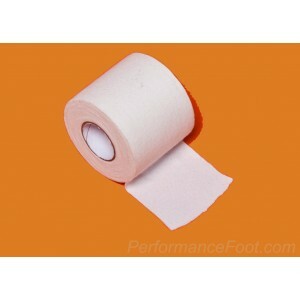 The 2" White Adhesive Tape is 100% cotton backcloth, zinc oxide trainers tape. White, bleached features high tensile strength with excellent tackiness and conformability. Easy handling, easy unwinding to the core. 2 inch by 10 yards per each roll.